Check out our Calendar page, which shows meetings, model shows, and social events. Coming soon -- our Gallery Page. Check back with us frequently. Welcome to the MassCar web page! 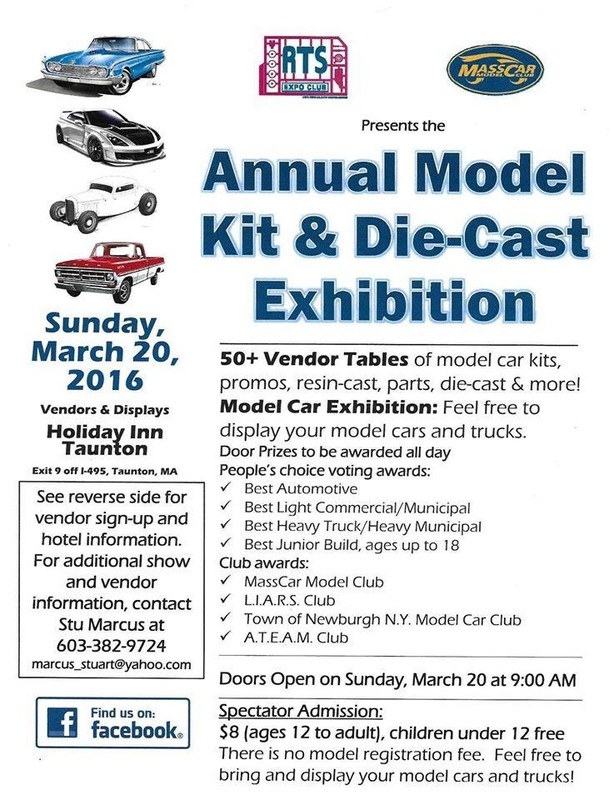 As the oldest model car club in the New England area and an award-winning IPMS Chapter (International Plastic Modelers Society), we continue to promote the hobby through our meetings, annual show, newsletter, and website. The club exists by and for its members with a place for any and all skill levels regardless of automotive interest. Since our hobby is of a solitary nature, spending time with others who have the same interest only makes for a more enjoyable past time. So check us out and see what we are about and have to offer you.